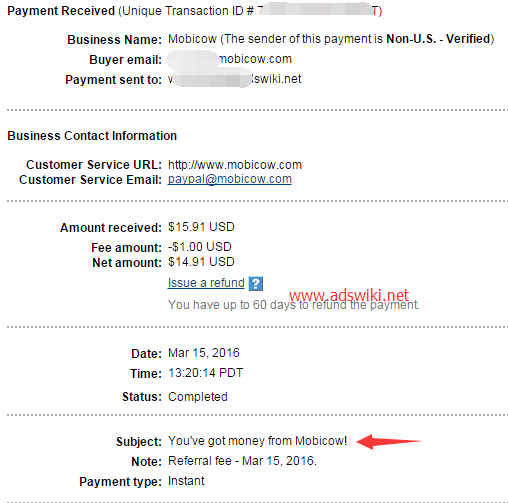 Mobicow | AdsWiki - Ad Network Listing, Reviews, Payment Proof & Advertising News. Founded in 2011, our team is made up of professionals with years of experience both as publishers and as advertisers with first-hand experience in both driving traffic and mobile advertising so you benefit from our knowledge and expertise on both sides of the coin. When we came together to create MobiCow it was from our past experiences that we drew the inspiration and building blocks to bring to you a truly unique platform for web to mobile advertising. As mobile visitors on our web properties began to grow close to those of traditional web visitors, we identified a gap in the market for converting web to mobile traffic. MobiCow is the product of a world gone mobile. The new standard for browsing is on smaller constantly evolving screens, and traditional web advertising simply cannot compete on this emerging marketplace. Enter MobiCow’s global mobile ad network built on a customized platform designed for simplicity and ease-of-use. With MobiCow, ads display with full-screen brilliance and optimized impact. Our commitment to advertisers is to deliver them the most cost-effective customer acquisition and our patented targeting ensuring they are reaching even the most specific audience worldwide. Imagine the quality of each impression when you can pinpoint your target audience by location, device, operating system, and carrier. Our platform ensures delivery of the most impactful full-screen mobile advertising leading to increased clients, increased conversion, and increased revenue. Our commitment to publishers is to enable them to fully-monetize their mobile traffic with the highest eCPM in the industry across all devices and platforms. We pay higher rates than other networks because we only focus on mobile traffic.